Want to know what your competitors are doing to get ahead in the online publishing game? I’ll let you in on a secret, its something you can do too. One of the main reasons I keep returning to the same brand-name online publications is that they make me feel like a guest when I’m there. Top online publishers are experts at knowing how to make sure that as a reader, I have the most comfortable and interesting experience when browsing their websites. This ranges from the actual quality of their content, to the way they place their adverts. I could list all the great ways web publishers earn the respect of their users, but you might want to read on to get the details. If monetization is key to your business, you can get right to the point at the bottom of this article. If you follow the basic needs and requirements that your users have, you are already primed to improve your reputation. However, even the most well known blogs and internet publishers have to keep learning and adapting to maximize the implementation of their content strategy and improve their reputation. Your reputation as a publisher lies in delivering original content, from the best writers, with the best delivery. Top publishers are entirely focused on producing quality content, which means that any topic they write about is always well executed. This doesn’t suggest that they will only publish serious content; humor is a well known method of engaging audiences. But when top publishers distribute this type of content, it is thought-out and worded effectively. The placement of any articles on your site should be planned when designing your content layout. Mashable has got the ratio of its content down to a tee, and as you can see, the less serious content is often shared more. Placing serious articles in-between the ‘social’ posts balances the readers feed when they enter the site. This is a good method to maintain your reader’s attention and potentially lead them to other pages on your site. I personally prefer having this type of balance when I’m reading online. It preserves the sites authority for significant content, without it being top heavy on serious articles. Even image galleries in top content websites are designed to be user friendly and accessible to their readers. Depending on what your website is offering will influence the style of image gallery you should opt for. Always remember to reference any image you use to show integrity; this is a huge factor in building your reputation among photographers and photo-journalists. The quality of your content also depends on whether you’re following the current content trends. With the latest trend being video content, publishers have to keep one step ahead by sharing this content alongside their traditional written formats. Companies like Storyhunter are making it much easier for publishers to source reliable video journalists and photographers to accommodate for the growing demand of visual content. Top publishers understand their audience and they respect them by providing content that is consistent and relevant. When readers know that an online publisher is providing them with a certain type of content that they like, they will certainly come back and even subscribe. The best digital publications know to stay within the realms of their industries, and not attempt to cover everything. However, every publisher knows how important it is to mix it up with controversial topics. In this case, what top publishers do to improve their reputation is that they actually inform readers when there is content that they might not want to be exposed to, especially when it could be harmful. I am always grateful when there is a warning in a headline (thank you TechCrunch for not ruining Game of Thrones for us) or when there is the option to view a graphic image or not. The differentiation from other content shows me that my interest is at the heart of the publisher’s activity, and that the goal is not just about pushing traffic for the sake of it. In the above example, BuzzFeed allowed their users to decide if they wanted to see this content that may have been offensive. This gives the reader a sense of ownership and in turn, improve your reputation as a publisher. By understanding your audience, you also know what language to write in. The leading online publications aim to have very clear and jargon free content so that they can reach a wider audience. I am always impressed by publishers who can convey a technical subject but word it in a way that the masses can understand. In this video, Rand Fishkin from Moz explains exactly why it’s important to understand your audience and how that effects your content. If you are writing quality content, you shouldn’t be afraid of comments. A big issue for publishers to overcome is to actually trust their audience. This includes opening up their comment section for discussion. Not only does this form a 2-way system where the audience can directly engage with you, it can also provide valuable feedback that may lead to improved writing or new topics. 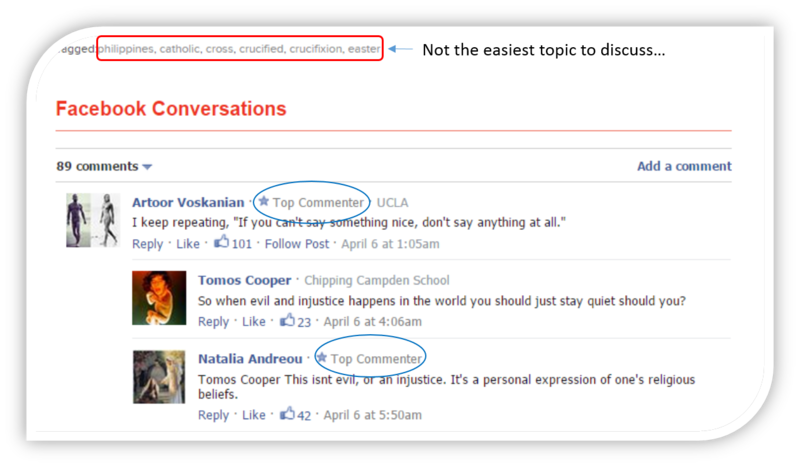 Even with controversial content, by enabling comments you show your audience that you are not afraid of dealing with varying opinions. Obviously opening discussions to all content should be monitored, as there are situations where it is advised to restrict it. This might be the type of content that could lead people to post hateful comments. If you are taking this strategy you should also take into account the content, context and the overall approach you wish to have with your users. Some might argue that disabling comments may increase the likelihood of people talking about it in social media, however I believe that if that if the content is already high quality people will share it regardless. Top web publishers know that controversy brings many readers back, so giving them a forum to do this in increases the trust in the relationship between you and your users. If you’re worried about spam, I definitely recommend each and every online publisher to use captchas to reduce moderation time. Another useful method that I enjoy seeing on publishing websites is the public profile option for people leaving comments. This is often done via one a social media account or even Gmail, giving the comment a face and a name that people can then connect with. This may discourage some people from commenting, however it often helps top publishers connect with their audience and to people who may actually be their next business connection. Online publications often have social media accounts to help distribute their content. Having an active social media presence allows readers to engage with content in a different medium that is sometimes more convenient. Top publishers will build their community organically, rather than buying likes or followers. This is not simple work, it means investing effort into social media by posting relevant content that is not just repeating content from the website. This ultimately conveys a deeper relationship between the readers and the publisher, which develops the respect they deserve. Taking on social media is not something that should be taken on lightly by strapped for time publishers. Yes, the top publishers can afford to hire a dedicated person and in some cases an entire team to focus on it, but if you are in the middle range of the publishing industry it would be wise to focus on one social media niche that fits in with your content. For instance, if your content is primarily fashion based, with a high level of images, Pinterest might be the better option to invest your time in, whereas a business oriented blog might want to focus on engagement in LinkedIn. Having a well-designed and welcoming team page helps readers get to know the people that manage the site, and therefore have a higher trust in the content that is published. This is a particularly useful method for middle range publishers that are just building their community and are looking for more engagement. 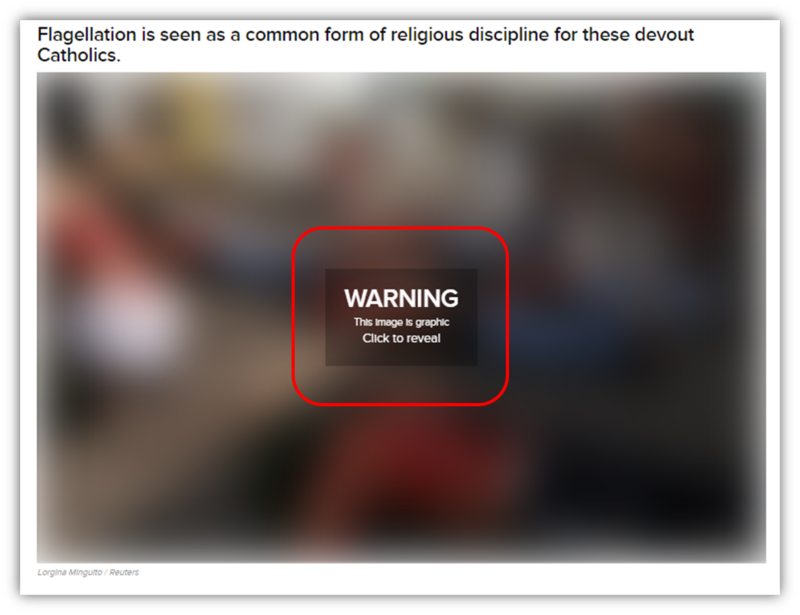 Pop-ups that force shares are one of those annoying tactics that some publishers use. In my opinion, if the content is worth sharing the first time round it will get shared. Why annoy a potential subscriber if they just didn’t think it was that interesting at this moment in time? Let’s face it, we are tech addicts. Most of us have at least a second device we like to view content on (I myself have 8, but who’s counting right?). Publishers have to be able to accommodate for all of our tech needs and this means – being responsive! Screen sizes vary, from a 5” smartphone to 20” tablets, and this also means resolution. When you’re programming your site to be responsive, don’t forget to take into account that the resolution will change with every device. Some publishers might want to consider advanced strategies such as building retina ready websites that can nicely present 4K resolution content. Keep in mind that this is not an easy choice to make due to the fact that the more you make your site accessible to high resolutions screens the more bandwidth you use and the more loading time your users experience. Online content readers are not the most patient audience on the web and even less on small screen devices; By paying attention to these details you will be reducing your bounce rates and adapting to the mobile takeover everyone is talking about. It is coming. It’s no secret, publishers make their money from advertisements. The difference between top publishers and others is how reactive they are to advertising trends and how they present them to their users. If you haven’t read it yet, The Interactive Advertising Bureau recently released a digital video advertising report that highlighted how video advertising is the hottest trend for publishers to be aware of. Not only video, mobile advertising revenue is at its highest peak since the smartphone trend began, and this is just going to grow in 2015. Here’s a great example of how trends are changing, showed nicely on this graph from Business Insider. I predict that as more of the advertising budgets are cut from traditional methods and are moved to mobile, publishers will need to adapt their monetization strategies to fit the niche world of mobile video. This includes optimizing the contents responsiveness for multiple devices and exposing the potential growth of in-app ads. I’m glad that Liz Gannes, @Recode, points out that mobile video is made for the mobile world. This might sound logical, but we have been so used to images and text being easily transferable over different mediums of communications, whereas mobile video is now solely for mobiles. If mobile video is usually shot vertically and slightly shaky, it is optimal only for mobiles. In order to conquer such digital landscapes, publishers are turning to technology to explore and improve their revenue. 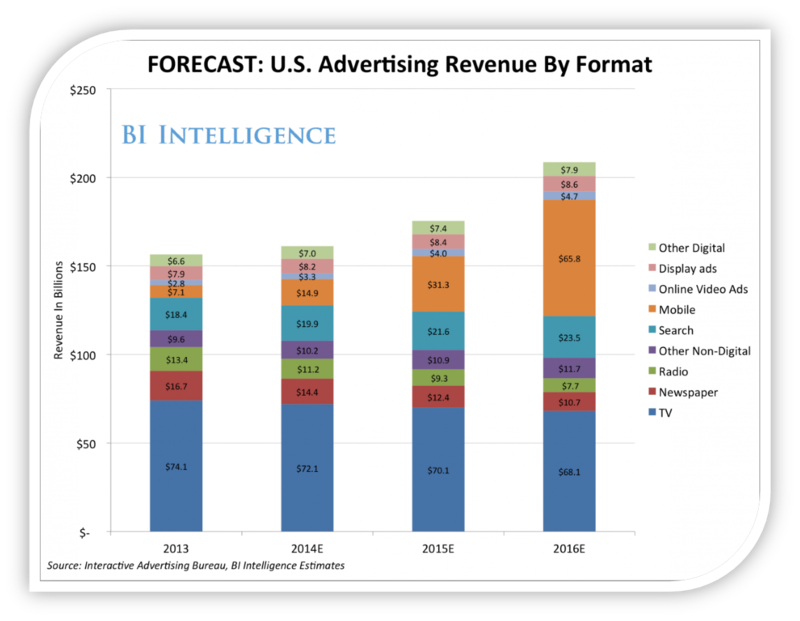 Publishers now need to invest in programmatic technology, automating the buying, selling and placing of media. The future for top publishers relies on technology as they will want to present individually tailored ads that will adapt to not only to the users browsing preferences but to the content of the page as well. These methods can help you improve your reputation as a significant publisher. However, I don’t disagree that there is a need for many publishers to monetize their content in order to get to the top of the industry. This monetization process can come at the expense of the reader due to the use of advertisements within and around the content. 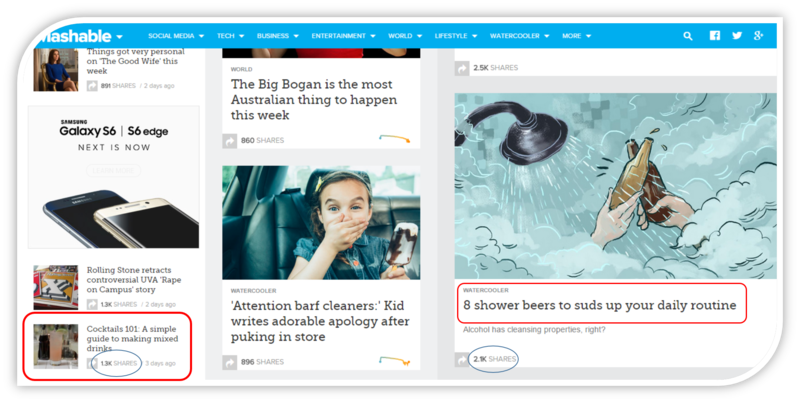 Native and in-image advertising are innovative techniques that can keep your site clean whilst help earn valuable income. The question is, how does a publisher know when they have reached the limit between monetizing well and repelling users away?